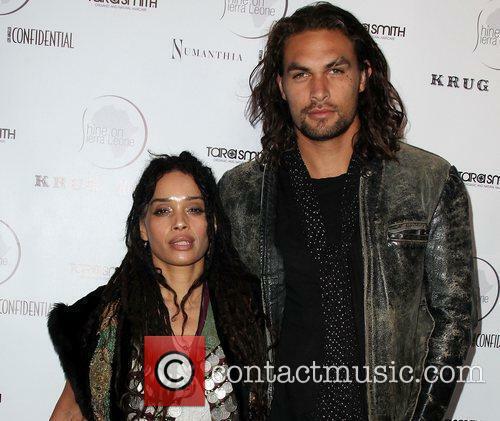 After bursting onto the scene in Game of Thrones, Hawaiian actor Jason Momoa has been on a roll in both movies and television series. Jasom Momoa's latest film is the edgy romantic thriller The Bad Batch, set in a near-future in which society's undesirables are sent into a desert wasteland where they live without rules. "The Bad Batch is heavy, gnarly and amazing," Momoa says enthusiastically. "The director's first film was called A Girl Walks Home Alone at Night, which won the Gotham Award for breakthrough director for Ana Lily Amirpour. So The Bad Batch is pretty rad!" 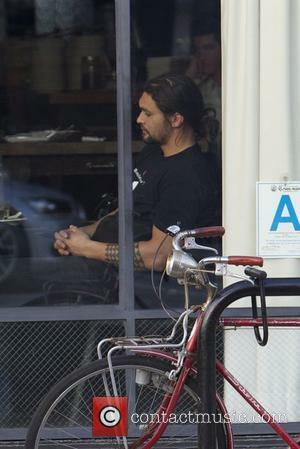 Momoa says that he enjoys making projects that are off the beaten track. "Some of my favourite movies are where it looks like hell to have shot them," he laughs. "The rain and the dirt and mud all make it easier to act. 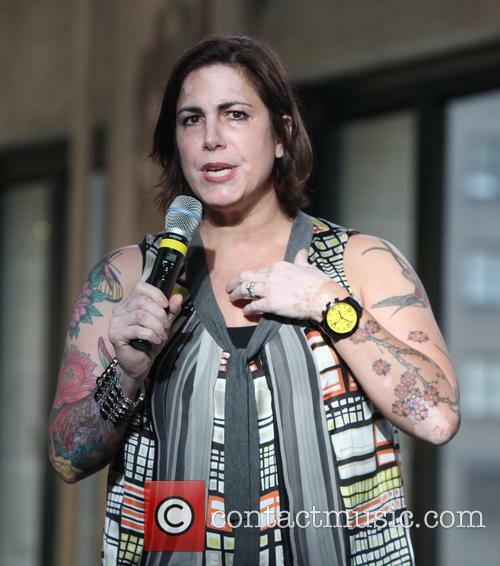 I identify with the outcast thing, and I really love it." 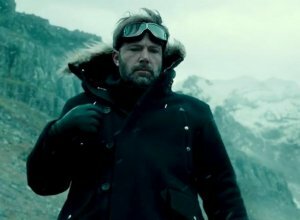 Bruce Wayne knows that the Earth is under threat from evil forces much worse than any he's - or any other superhero - has previously seen. To defend the people of Earth, Bruce and Diana Prince (Wonder Woman) decide to hunt down some of the most skilled individuals the planet has to offer, each of these people have a special talent and could play a vital part in saving the world. As well as the new recruits (who include Aquaman, Cyborg and The Flash) Batman also recruits Wonder Woman who previously fought alongside Superman whilst trying to beat Lex Luthor's incredibly strong genetically-engineered creature which also killed Superman. The fate of Superman is unclear but given the end of Batman Vs. Superman it's presumed that Superman will return to life albeit potentially temporarily weakened. The Justice League is DC Comics’ superhero team and it’s thought that a supervillain called Steppenwolf will be their main target – though it’s sure that Lex Luthor will appear and cause as much trouble as he possibly can. 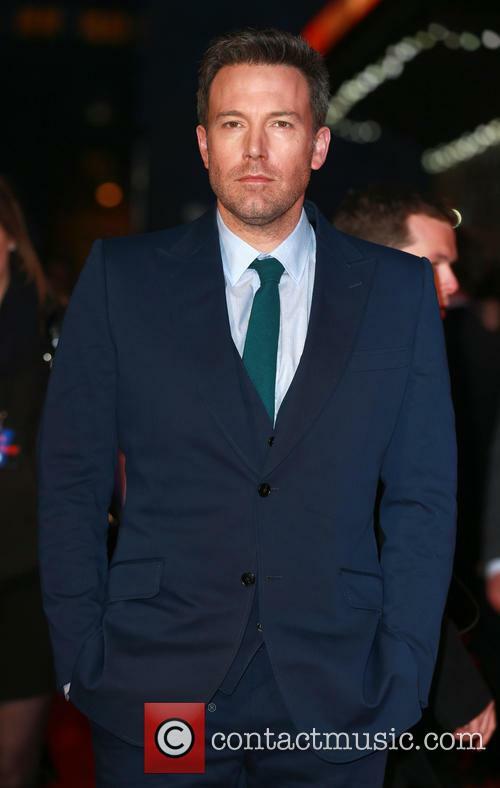 The upcoming movie sees Affleck reprise his role as Batman, alongside Gal Gadot, Jason Momoa, Ray Fisher and Ezra Miller. Ben Affleck surprised fans at San Diego Comic-Con on Saturday (July 24) during Warner Bros’ panel at Hall H. The Batman actor appeared alongside his co-stars from the upcoming Justice League movie and helped unveil the first footage from the much-anticipated comic book film, which is due for release next November. Ben Affleck surprised fans at Comic-Con on Saturday. There's a lot to get through, and that's certainly not the end. 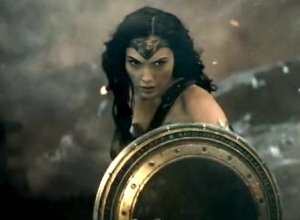 Losing track of the upcoming DC Comics movies? We're here to help you out with that, and stop you getting confused with Marvel. 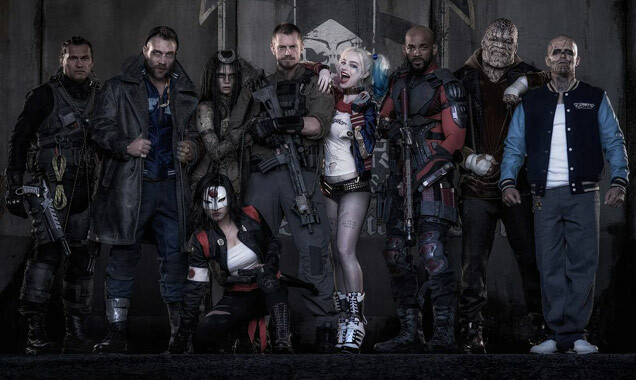 All you need to know right now is that 'Suicide Squad' comes this summer and we'll be seeing a lot more of Batman and Superman over the next four years. After 2013's beefy Man of Steel, director Zack Snyder goes even bigger and darker with this sequel, cross-pollenating Clark Kent's story with flashbacks to the origins of Bruce Wayne and his Dark Knight alter-ego. The problem is that the film is so big and loud that it can't help but feel bloated, especially since so much of what's on screen feels rather vacuous. But it looks amazing and is relentlessly gripping. After a Bat-origin prologue, the story kicks off with the climactic battle from Man of Steel as seen from the perspective of Bruce Wayne (Ben Affleck), watching his city being destroyed by Superman (Henry Cavill). This further fuels the rage that began when his parents were murdered. And that fire is stoked by the mischievous millionaire Lex Luthor (Jesse Eisenberg). Meanwhile, Superman/Clark is struggling with how the world is revering him as a god, which is straining his relationship with intrepid reporter Lois (Amy Adams). As these very different vigilante heros head toward a climactic confrontation, Luthor is up to something seriously nefarious. 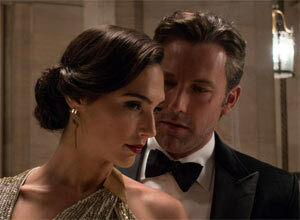 And the ensuing chaos brings another hero into the open, Wonder Woman Diana Prince (Gal Gadot). 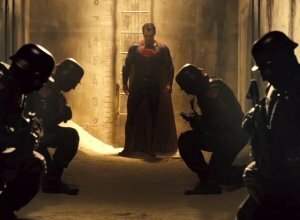 While the various plot threads are fascinating, and Snyder maintains a snappy pace, the overall story centres on the fact that Affleck's prickly, bitter Bruce is easily manipulated into doing terrible things, which makes him rather unlikeable. And Cavill's fundamentally good Clark isn't much easier to identify with. Both are also oddly constrained by their costumes and bulked-up physicalities, which leave them unable to move properly. 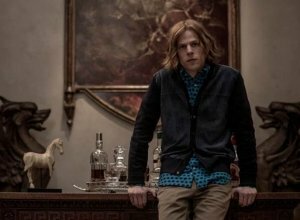 This allows the side characters to steal the show: Adams adds emotion and passion, Eisenberg provides the nutty nastiness, Irons is hilariously cynical as Bruce's butler Alfred, and Fishburne is all bluster as Lois' editor. But in the end, the film belongs to the gorgeous, clear-headed Gadot, instantly making her stand-alone movie the most anticipated superhero project on the horizon. Every superhero has a dark side and being 100% human, Batman is in doubt over how genuine Superman actually is. After all, Superman is from a different planet and has incredibly natural powers; powers that could easily destroy our world. As Lex Luther manipulates Batman and Superman into a deeper and deeper war, the duo find that they are pitted against a force that's much more of a present threat than either of the heroes. They are joined by a number of other heroes (including Wonder Woman and The Flash) on a quest to save earth from immediate danger. 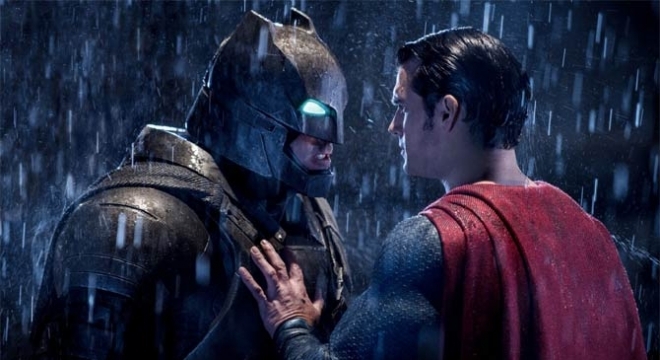 Warner Bros. Pictures releases Batman V Superman: Dawn Of Justice in cinemas 25 March 2016. What happens when two superheroes with vastly differing opinions come head to head? Well, not very well if Lex Luthor has anything to do with it. Superman believes Batman is a vigilante and the civil liberties of the people of Gotham are 'being trampled on' whilst Batman feels Superman's abilities are blown out of proportion by the media and is far from a fan of his superhero outfit. Lex Luthor has enough power to manipulate this situation to his benefit and pitches both heroes against one another - Son of Krypton versus Bat of Gotham however, when his plan doesn't go exactly to plan he creates a monster to destroy both men - on the verge of destruction, Batman and Superman are joined by Wonder Woman, Aquaman and other superheroes on their quest to save their city from destruction. Batman V Superman: Dawn Of Justice is directed by Zack Snyder and it's a precursor to The Justice League films - which are also written and directed by Snyder. 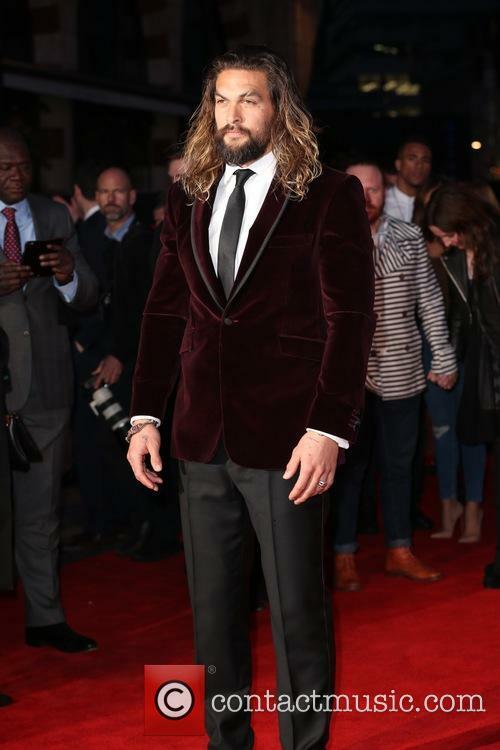 Jason Momoa? 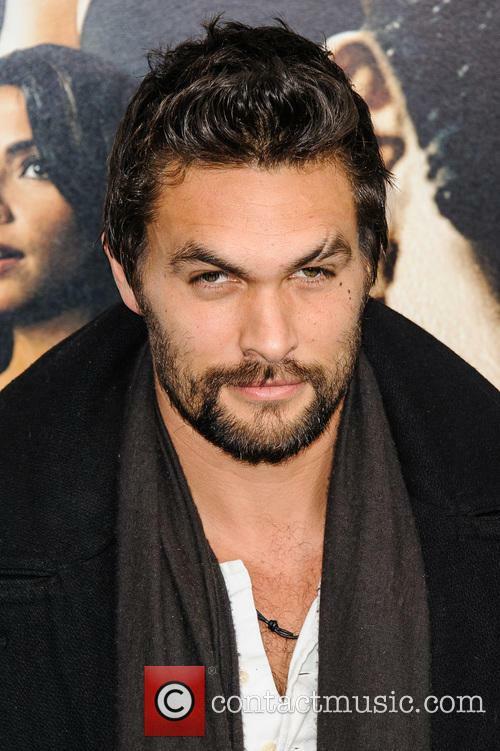 Yeah, he's playing Aquaman. 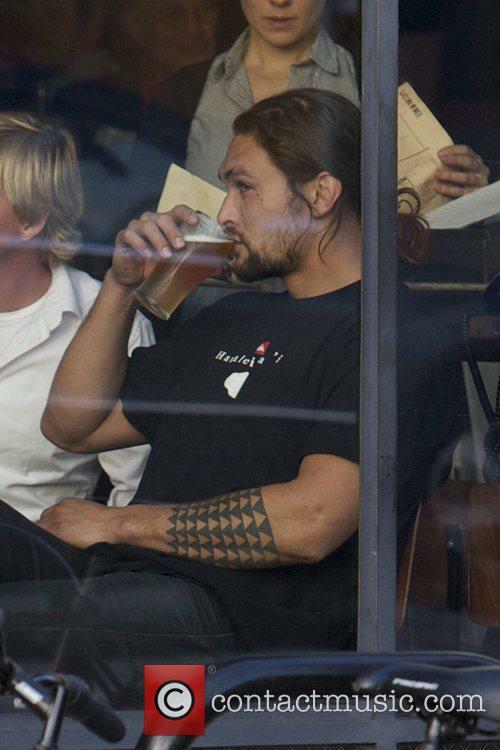 Jason Momoa has been cast as Aquaman in the hugely anticipated Man of Steel sequel Batman vs Superman: Dawn of the Justice, according to the guys at HitFix.com. While Warner Bros are yet to make an official announcement, Drew McWeeney has confirmed that he has accepted the part and that Zack Synder has already finalized his designs for the character. 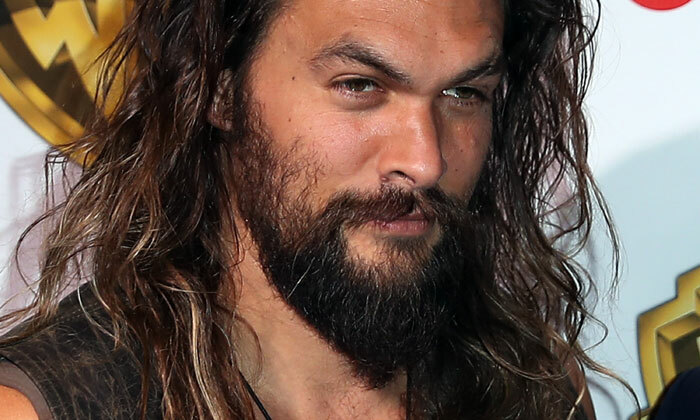 Aquaman’s role in the movie – in which Ben Affleck plays Batman - will be rather limited but McWeeney claims that his character “he is not pleased about the World Engine and what it did to the Indian Ocean”. 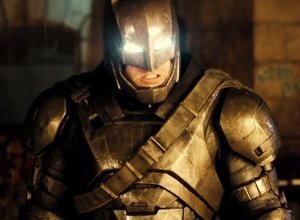 His entry into the franchise is likely to see him be set up for a more substantial part in the Justice League movie. Right on time to fit in with the trend of classic action men returning to the screen, Sylvester Stallone’s new film, Bullet to the Head, hit theatres this week. It’s your typical serving of an action-packed, blood-soaked shoot-em-up, with (quite apropos) bullets flying towards everyone’s craniums, lots of fighting, lots of explosions, you know the drill. But apparently this one really packs a punch, not just literally. According to some reviews, this flick sees Stalone sharper and more on point than he has been in a his most recent offerings, and that includes both Expendables films. Despite starring opposite actors like Jason Momoa, who is more than three decades his junior, Stallone is certainly not letting up. In the Warren Hill directed comic book adaptation, Stallone plays lone Louisiana hitman Jimmy Bobo, who forms an unlikely alliance with idealistic cop Taylor Kwon (Sung Kang, Fast Five) to hunt down some shady characters who double-crossed him. Sounds unlikely, unrealistic and frankly, just plain fun, plus, even after supporting the ban on assault rifles, Sly has to get his kicks somewhere right? Jimmy Bobo is a brutal hitman; the best of his kind, an expert in the convenient disposal of unwanted individuals. When his partner is killed in a ruthless attack by the formidable ex-mercenary Keegan, he vows to take him out but things get serious when he is approached by WDCPD detective Taylor Kwon who seeks his help to investigate the killer who has also murdered his colleague. Although reluctant and apprehensive at first, Jimmy accepts to work with him especially after his tattoo fanatic daughter Lisa is kidnapped by the enemy to lure him into the hands of Keegan who, not content with slaughtering Jimmy's partner, wants to kill him too. This action thriller is based on the French graphic novel 'Du Plomb Dans La Tete' (which translates to the movie's title) by Alexis Nolent. Out of their usual main areas of filmmaking expertise, the movie has been directed by Walter Hill (producer of the 'Alien' film series and 'Prometheus') who co-wrote the screenplay with Alessandro Camon (co-producer of 'American Psycho' and executive producer of 'Bad Lieutenant'). 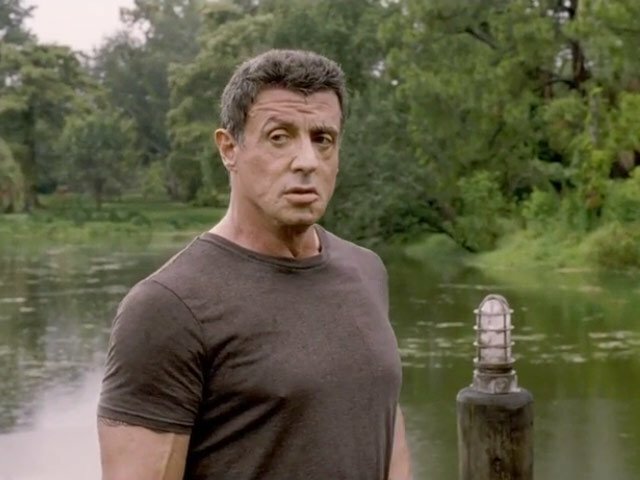 'Bullet To The Head' is sufficiently action packed, with a grand portion of humour thrown in there as Sylvester Stallone drops in the characteristic one-liners. It is set to be released on February 1st 2013. 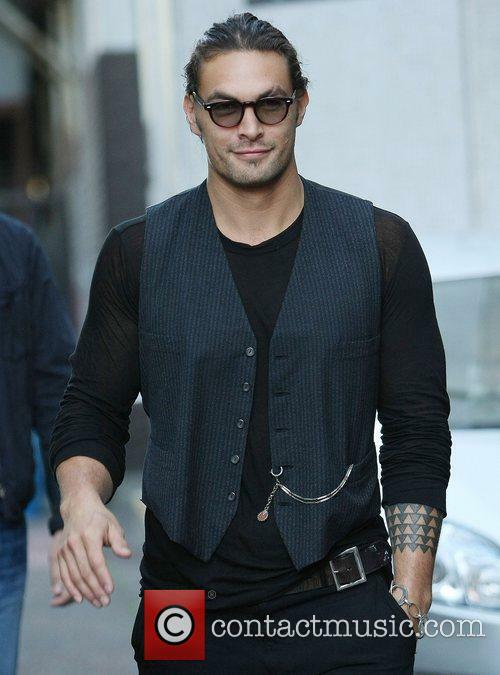 Actor Jason Momoa (Conan the Barbarian; Game of Thrones; Stargate: Atlantis) is seen making his way into the 2011 New York Comic Con to sign autographs. 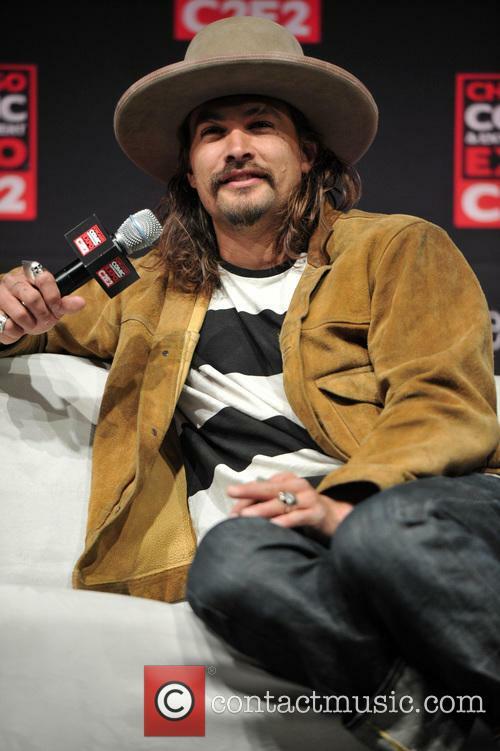 Jason comments about his lack of his trademark top hat (he is seen in a dark green flat cap) and he is later seen signing a poster and talking to a fan. Meanwhile, two girls discuss discreetly giving the actor their numbers. Jason can next be seen in upcoming thriller 'Bullet to the Head', which will also star Sylvester Stallone and Christian Slater. Jason Momoa; Rose McGowan and Ron Perlman answer fans' questions on a 'Conan the Barbarian' panel at the 2011 New York Comic Con. Jason tells the audience that he was interested in making 'Conan' so that his family could watch it one day, while Rose reveals that sitting on the panel marks the first time she has been able to interact with fans. Conan the Barbarian also stars Stephen Lang and Rachel Nichols. It is the tale of a young warrior, Conan and his quest to avenge his father's murder. With a complete lack of self-awareness, this po-faced remake looks more like a trash-TV series (a la Spartacus or Camelot) than a proper movie. Mainly because the filmmakers continually opt for gratuitous gore rather than actual storytelling. Born in battle, Conan (Howard, then Momoa) is set on vengeance. His people, the Cimmerians, were slaughtered by the evil Khalar Zym (Lang), who was looking for the barbarian-held pieces to a mythical all-powerful mask. Once the mask is reassembled, Khalar Zym and his fiendish daughter Marique (McGowan) need a pure-blood of Acheron to activate it and, as luck would have it, the last one is hot babe Tamara (Nichols). So of course Conan and Tamara team up to fight off the villains and save the pre-historic world. 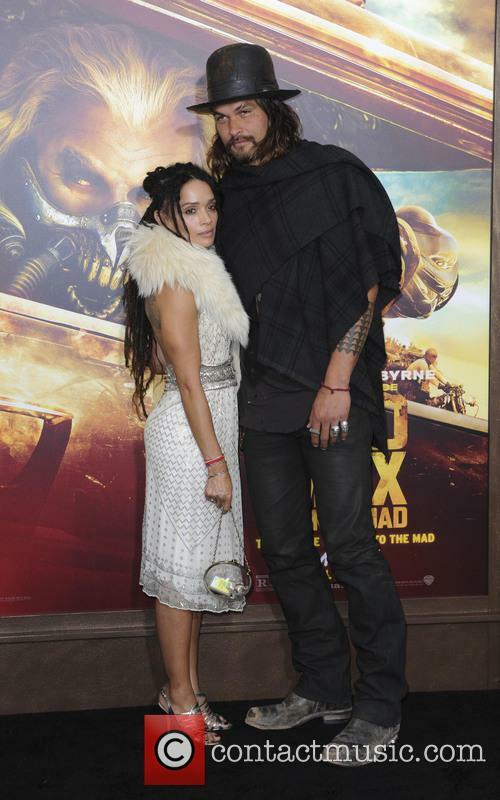 Jason Momoa was busy brandishing his giant sword at a hand print ceremony held in Planet Hollywood, Time Square yesterday, to mark the release of new film Conan the Barbarian. 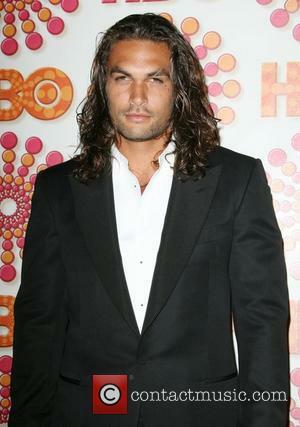 The actor hunk, who also plays Khal Drogo in Game of Thrones, told starpulse.com that he'd done a lot of research for his role in Conan, taking inspiration from Samurai Films: "to take a broadsword and to wield it like a samurai sword was something that I wanted to do, so I studied a lot of films. I did everything, like reverse grip, and I just wanted to put that Asian influence into this Barbarian thing, bring some grace to it"
After witnessing the death of his mother and father, Conan was made an orphan and worked for his keep. His father was his mentor, the one person who really taught him the meaning of life and the importance of their work. Setting off on a lonely treck, Conan discovers a cruel and unforgiving world, far from the village he grew up in. 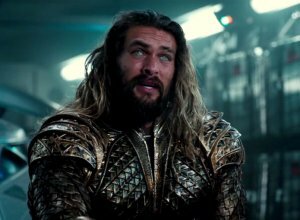 Aquaman, The 'Wettest' Of The Justice League? Not If Jason Momoa Can Help It! 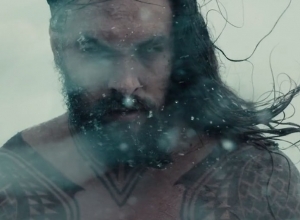 Jason Momoa Is Aquaman! But What Do We Know About The DC Superhero? It's Official! 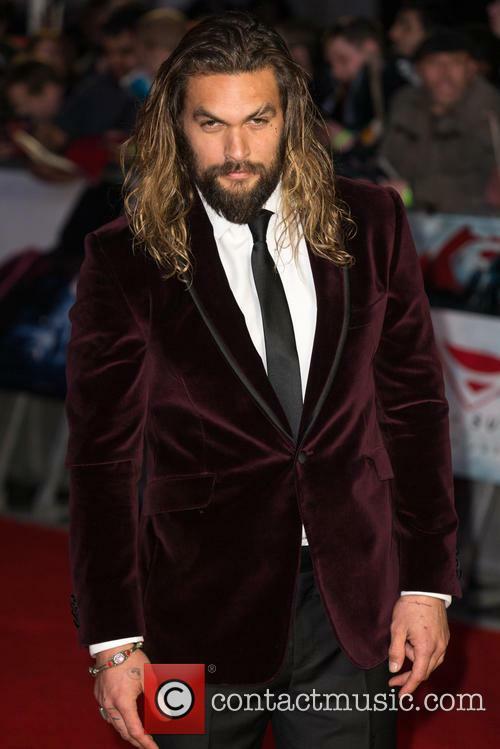 Jason Momoa Will Be Warner Bros.' Aquaman In "Batman Vs. Superman"
Jason Momoa In Talks For 'Superman Vs Batman' - Are We Looking At A Justice League Movie?